Warning: Major spoilers ahead for the Season 4 finale of Arrow. Season 4 of Arrow has seen Oliver go through a lot of changes as he and the newly expanded Team Arrow had to fight against the forces of magic in Star City. Team Arrow grew to include Thea, Laurel, and even Quentin to bring more hands on deck to battle Damien Darhk and H.I.V.E. Now, Season 4 is over, and Damien Darhk has met his end courtesy of Oliver finally landing an arrow on him. Unfortunately for the good guys, the finale also featured the end of Team Arrow for the time being. The fight against H.I.V.E. and the death of Laurel took too great a toll for them to maintain their status quo, and some went their separate ways. Quentin was the first to make the big decision to leave, and he may actually get as happy an ending as possible for a man who recently lost his job and his daughter. Driving off into the sunset with Donna means that he could have a good life over hiatus. Thea was the second to announce that she would be leaving Team Arrow. She’s had a crazy life over the past year, so it's hard to blame her for wanting to try something new. She went from mostly dead to be dunked in a Lazarus Pit, then became Speedy, then was filled with bloodlust that threatened to consume her, and then had to threaten the life of a little girl in order to save her brother. The girl deserves a breather. Just when it seemed like Quentin and Thea leaving would mean a return to the trio of Original Team Arrow, Digg revealed that he too needed to leave behind Star City and his identity as Spartan. He has evidently rejoined the Army as an active member and is heading off to war, with Lyla and baby Sara at home. He won’t have the easiest time returning if he makes the decision that he’s ready, so we may have to expect a Team Arrow without Digg for a little bit into Season 5. He'll still be a hero; he just won't be at home. The only members of Team Arrow intending to stick around Star City as of the end of the Season 4 finale are Oliver and Felicity, and they’ll both likely be busy without their vigilantism night jobs. The death of Ruve Adams left Star City without a mayor; given that Oliver won 48% of the vote via write-in ballot and because Star City pretty much makes up its own rules when it comes to public office, Oliver wasn sworn in as interim mayor until an official election in August. He’ll have plenty to do without wearing green leather and carrying a quiver. As of the previous episode, Felicity had not yet given up on her plan to take back Palmer Tech. The board did technically have some valid business reasons for ousting her as the head honcho, but she should have the resources to get her professional life back on track over the summer. 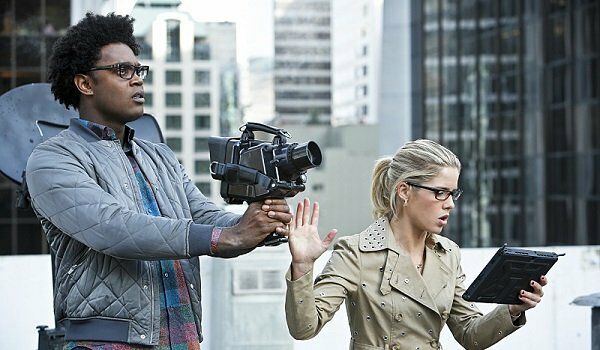 Whether she does so by winning over the board at Palmer Tech or by starting something new with her new enthusiastic pal Curtis, it seems that she won’t be lacking for activities without Team Arrow either. All in all, the Season 4 finale was bittersweet. Damien Darhk and H.I.V.E. were defeated, but Team Arrow has split apart. Still, everybody taking a break from the vigilante shenanigans is the best thing at this point. They all need to heal and recover, and hiatus is the perfect time for that to happen. Arrow won’t be back on The CW until fall, so check out our summer TV premiere schedule to see what you can watch in the meantime. Take a look at what we know so far about Season 5 for a peek ahead at what we can expect of Arrow next.